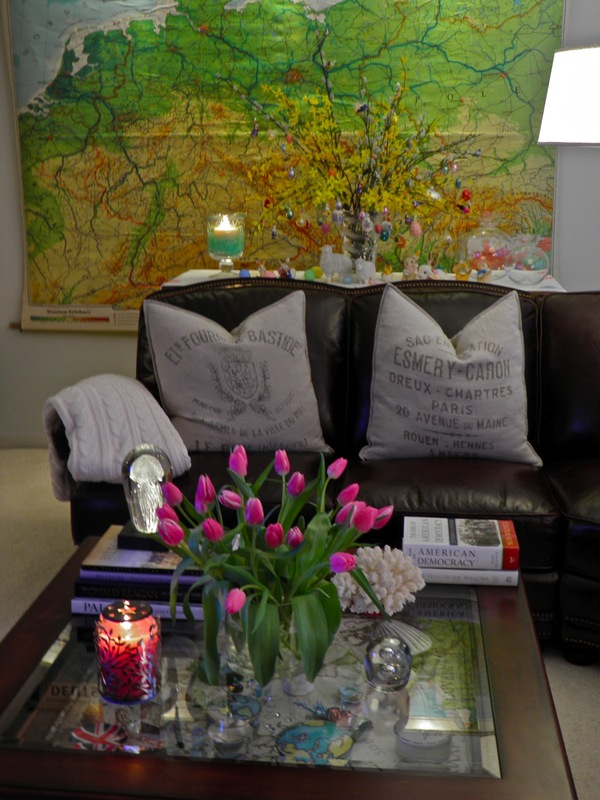 From Captain's Daughter to Army Mom: More Signs of Spring! 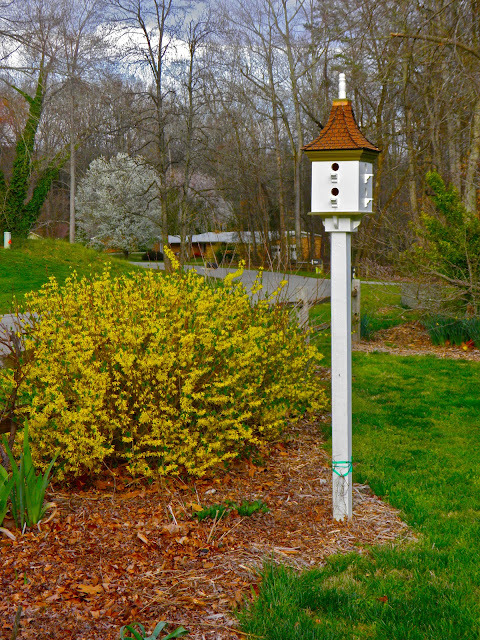 the forsythia has popped in the front yard! 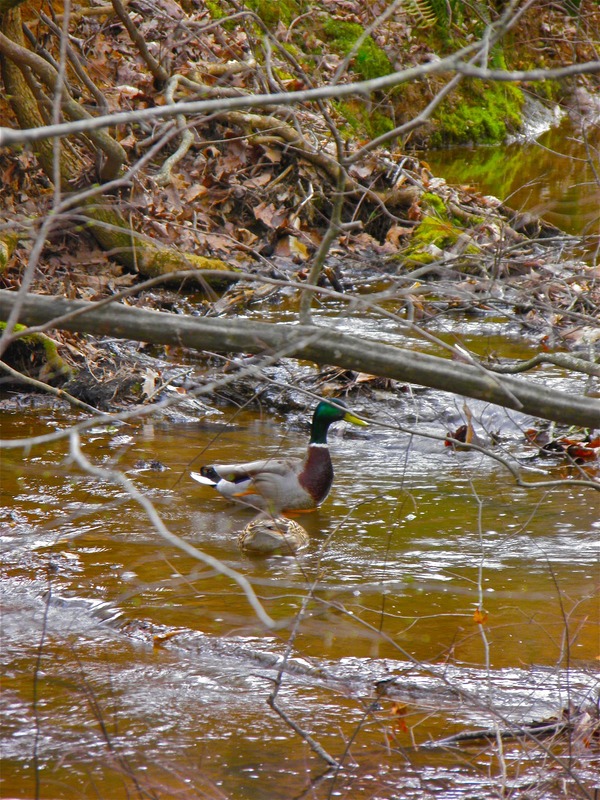 see our sweet ducky-pair until May. Not that I'm complaining or anything! spot it would be to display my Oma's Easter tree! And, you know what? 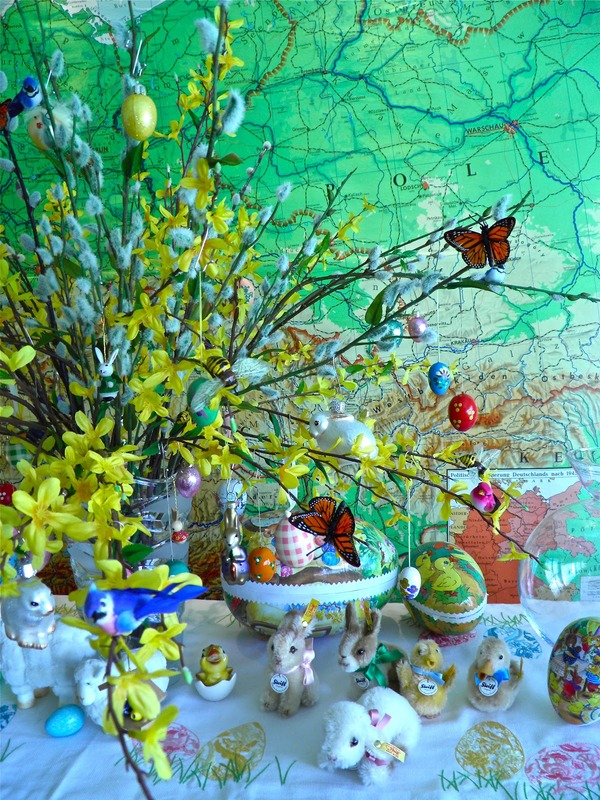 I first shared the story of my Easter tree here... And, every year I enjoy more! My sweet little Easter scene has outgrown my kitchen table! 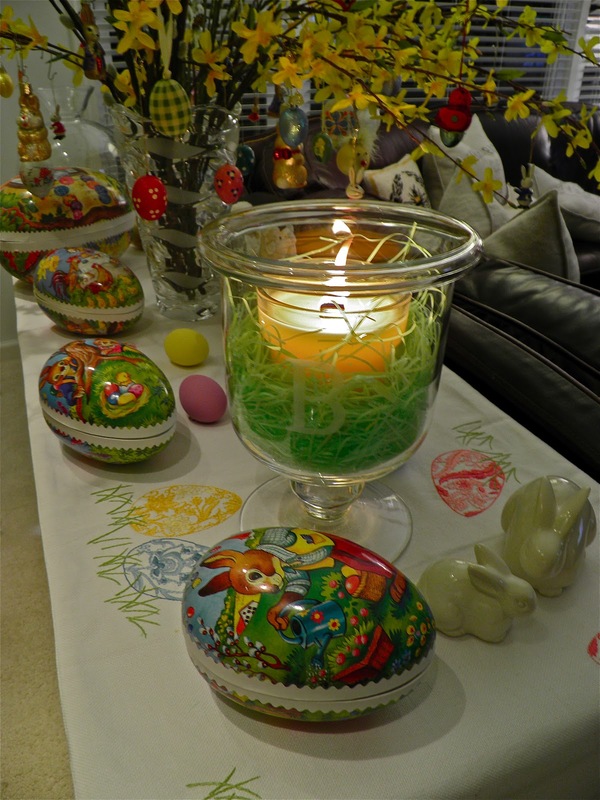 They are new to Mom's Easter table too since what I love, I also send her! Clearly, too much for the kitchen table now! But just right for the living room console table! until I can find someone to share some of this with! Oh, pick me, pick me, please. Share it with me. I love the runner. Where did you get that one? And the Steiff are only available online, right? 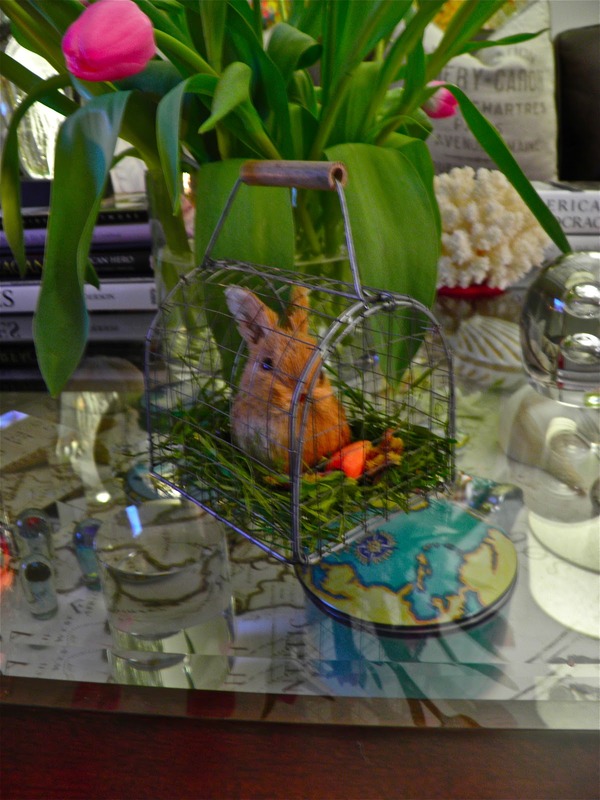 The runner is last year's Pottery Barn Easter runner. It was $69, but I had a/nother rewards certificate for $25 off. Yes, the Steiff collectibles are only available on-line. I linked to them in the post. Oh I love that you have ducks returning to your property every year! My but your Easter collection has grown since you first made your Easter tree on your kitchen table. The new location for everything is great as is everything on display! I love all your Easter collectibles but the little blue jays and the round yellow chick ornament hanging in the tree are the cutest! 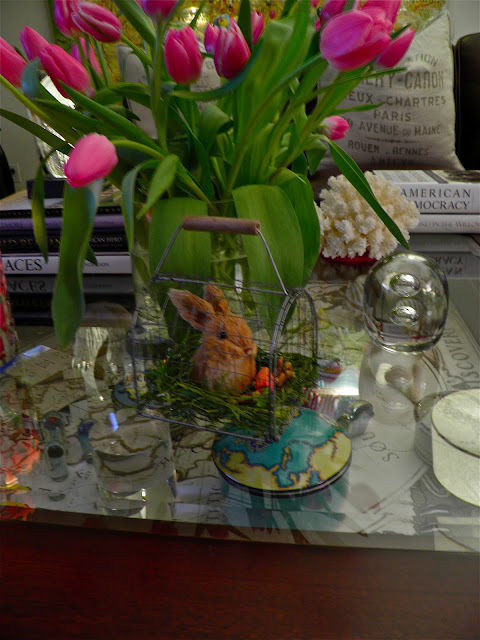 Oh my I love your Easter decorating Janet!! This is wonderful! I just want to let you know that I have tagged you in my post--it'll be up later on this evening.